Under the Safe Drinking and Toxic Enforcement Act of 1986 (Proposition 65), the state of California is required to publish the names of chemicals that are linked to the development of cancer and reproductive toxicity. The list must be revised at least once per year to add new chemicals that meet the criteria under the statute based on the availability of additional information. According to the statute, there are four different methods for adding a chemical to the Proposition 65 list. The list of chemicals must include those referenced in the Labor Code Section 6382(b)(1), which includes, among other things, substances categorized as human or animal carcinogens by the International Agency for Research on Cancer, substances identified by the Environmental Protection Agency and the Clean Water Act of 1977, air pollutants under the Clean Air Act, and items designated as chemical pollutants by the Occupational Safety and Health Standards Board. The listed chemicals must also include additional chemicals referenced in Labor Code Section 6382(d). The California Office of Environmental Health Hazard Assessment (OEHHA), the agency charged with implementing Prop 65, considers its duty under this method as “ministerial.” Thus, although this method of listing is subject to public notice and comment, as a practical matter it is extremely challenging to oppose the listing of a chemical via this method. Two independent committees comprised of scientific and health experts – the Carcinogen Identification Committee (CIC) and the Developmental and Reproductive Toxicant Identification Committee (DARTIC) – are regarded as the “State’s Qualified Experts” for listing under Prop 65. The CIC and the DARTIC can make a determination that a certain chemical has been shown to cause cancer or reproductive harm, respectively, after first identifies the chemical candidate for potential listing. These committees are required to meet annually at a minimum. This listing procedure is subject to public notice and comment, and members of the public may attend the CIC and DARTIC meetings to provide oral comments. Chemicals also may be added to the Prop 65 list via the authoritative bodies mechanism. Authoritative bodies include the US Environmental Protection Agency, the US Food and Drug Administration, the National Institute for Occupational Safety and Health, the National Toxicology Program of the US Department of Health and Human Services and the International Agency for Research on Cancer. These organizations have been identified as “authoritative bodies” by the CIC and DARTIC. If an authoritative body formally designates a certain chemical as causing cancer, birth defects, or reproductive toxicity, then such chemicals may be included on the Prop 65 chemical list, following a regulatory process initiated by OEHHA requiring public notice and comment. 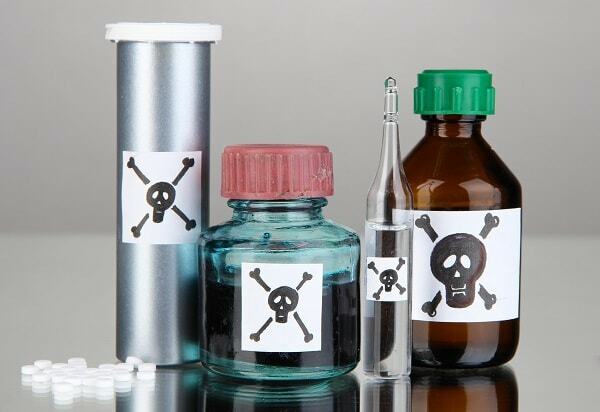 In evaluating whether to oppose a listing based on this method, one critical first step is to confirm that the authoritative body’s identification of the chemical is the same as OEHHA’s. This was a key issue, for example, in the listing of “Aloe Vera, non-decolorized whole leaf extract” as a carcinogen. OEHHA’s original identification of the substance proposed for listing failed to properly describe the substance and failed to include the phrase “non-decolorized,” which is how IARC described the carcinogenic component of the aloe vera plant. Public comments submitted by Grimaldi Law Offices’ client the International Aloe Science Council clarified this critical point, resulting in a precise chemical identification in the final listing. Since no aloe vera consumer products contain “non-decolorized whole leaf extract,” this distinction was critical to prevent baseless enforcement actions. A chemical may be added to the Prop 65 list if a state or federal agency mandates that a particular chemical be identified as causing cancer, birth defects, or reproductive toxicity. Generally, a chemical is added to the Prop 65 list under this category when it a prescription drug that contains FDA-mandated warnings regarding cancer, birth defects or reproductive toxicity. Grimaldi Law Offices has been advising clients for over 20 years on chemical and product law. For expert advice and analysis on your Prop 65 compliance obligations, contact Grimaldi Law Offices at (415) 463-5186 or email us at info@grimaldilawoffices.com. previous post: New Prop 65 Warning Requirements: Are Hotels Prepared for Changes?